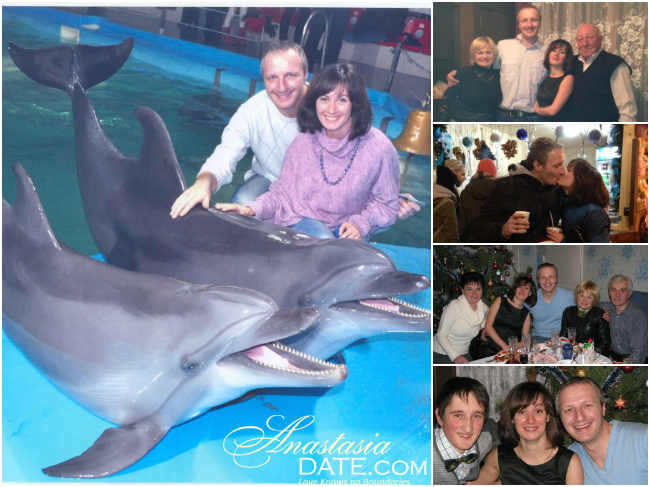 AnastasiaWeb: the largest Russian-American Introduction and Romance Tours Company! Presenting 10000 ladies selected from 60000 applicants! I registered my profile in the beginning of September 2013. And in a month I already chatted with Majo first time. First time we chatted, he opened Cam Share so we could see each other which was amazing! To see emotions and reaction in the time of communication is so much important! I liked Majo from the first look- young attractive man, very smiley, looks happy and cheerful. In the beginning we were chatting a few times a week, but the more we knew each other the more we felt attraction and we wanted to spend time together more and more. We felt some kind of addiction! In the while we couldn't live a day without seeing each other and communicating! What amazed me in Mojo he was listening to me very attentive, he was listening to all my thoughts, reasoning and opinions. I really felt that Majo strives for UNDERSTANDING me, this is so much important in relationship! And Majo liked the fact we could talk on any topic with no barriers, prohibition and shy. And all these with the fact that English is not a mother language for us both and we know the language not perfect. It is really unbelievable, seems like our connection with Majo is higher than any language barrier! Copyright Anastasia Intl Inc 2001-2019. All rights reserved.